Sanctuary started in 2006 as a place where the ideas and philosophies that I had developed over many years came together. I invested in great technology, as well as a small committed and empathetic team.... and we grew from there. Today we are a team of 18 and we continue to learn and commit ourselves to providing the best that dentsitry has to offer. We regularly train together as well as persue our individual interests and expertise. Thank you to our loyal clients and friends over these past years, we are grateful to you for returning to us for so long. We also welcome new clients if you feel that we are the best people to serve you and your family. Remember that we always seek and appreciate your most honest feedback about our services...thats the best way that we can learn what your needs are and how we can improve what we do. On a personal note, my interest over the years has focused on learning about holism.....and then applying that concept to dentistry. I have learnt about the effect of mercury and other heavy metals on our bodies, why flouride may be of benefit to our teeth but no to the rest of our body! I am a student of nutrition and how the lack of minerals in our food, and/or our poor digestion effects our body and our teeth. I have learnt about how the environment in which we live, grow and process our food has changed, especially over the last generation or two... and how the consequences of this are manifesting in the disease of not only ourselves but our precoius children particularly. There is still much to learn and understand, I hope this website and your contact with us at Sanctuary will help you also to learn more and promote choices that result in better health and wellness outcomes for you, your family and our wider community. ACNEM. Australasian College of Environmental and Nutritional Medicine. AIMA. Australasian Integrative Medicine Asscoiation. Shayeste has the privilege of returning to serve her own community of East Auckland, as she grew up in Pakuranga and attended Pakuranga College before graduating from Otago University. Shayeste joined the Sanctuary team as Associate Dentist in 2013. Her warm, bright and outgoing personality combined with care and gentleness, puts you at ease whatever the treatment is that you require. Shayeste has worked in both Greenlane and Middlemore Hospital Dental Departments which has given her invaluable experience. This experience has included the management of medically compromised people, wisdom tooth removal and periodontal (gum) treatment. She has enjoyed working with the elderly and children alike. She strongly believes in keeping her dental knowledge up to date by attending further education courses in all aspects of general dentistry here in New Zealand and internationally. In addition to her passion for dentistry and the service to her community, when she is not at Sanctuary, she is also loves dancing and the challenge of skiing. Damian fell in love with New Zealand on his first visit. He made the decision to move his family from Argentina to New Zealand permanently. He graduated from the University of Buenos Aires in 2004, his great passion for dental implants and full mouth cosmetic rehabilitation led him to complete the Specialisation in High Complexity Rehabilitation with Dental implants and Prosthesis in 2013. He has placed 100s of dental implants for his patients. Damian enhances his skill base and keeps up with the new advancements/ technologies in dentistry on a regular basis by attending dental courses here and overseas. Throughout Damian's 12 years of experience, he has learnt the importance of thinking from a patient’s point of view. Client trust is paramount for Damian, he will work at his client’s pace, he always ensures that his clients feel comfortable and relaxed, and he confirms that they fully understand their options and the treatment offered. Damian speaks English, Korean and Spanish fluently. The Sanctuary team has welcomed Damian wholeheartedly as we know he will make a real difference to the lives of our clients. Nate graduated with the Bachelor of Dental Surgery from the University of Otago. 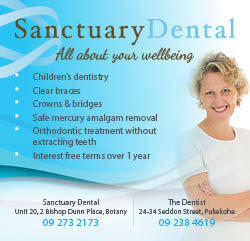 Since then he has worked in Tauranga before taking up the opportunity to work with Sanctuary Dental. Nate is passionate about quality dentistry and enjoys the challenge of creating individualised treatment plans, which can range from the simple to the very complex. He also has a wide range of interests, from aesthetic dentistry, root canal treatment, to crown and bridge work. "Being able to provide dental treatment that you need to the highest standard is my passion. Dental care can be personalised to suit every patient, based on the desired results that you have for your teeth. 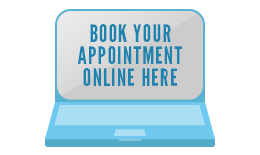 My main priority is not to only attend to your teeth, but to ensure that you are well taken care of and that you have a pleasant experience!" Outside of work he enjoys spending time with friends, cooking, tramping and travelling. Caron came to New Zealand nearly 20 years ago from South Africa and made Auckland her home with her husband and two children. She joined Sanctuary in 2009 and brings 30 years of experience in dental hygiene with her. Caron has also been the President of the Auckland Branch of the New Zealand Dental Hygienists' Association. The purpose of this organisation is to unite all Dental Hygienists and Therapists and to provide continuing education. This ensures that the profession continually strives to improve clinical skills and that Hygienists remain compliant with the Dental Council of NZ. Caron's other passion is gardening and plants, of which she is particularly knowledgeable about! She definitely has 'green fingers"! She is also very musical and sings in the worship team of her church. Tracey is originally from the UK, where she spent over 15 years Managing National Government contracts. Tracey’s passion is customer care and the delivery of quality services. Lyndsey has been with Sanctuary since our beginning and we are very grateful to have her on our team. She has a lifetime of experience in dentistry starting her career as a dental nurse and working in a variety of dental roles over her career. Lyndsey has particular expertise in disusssing treatment options with our clients and organising and scheduling often more complex treatment plans. She is also able to answer many of your questions about Holistic Dendistry and removal of dental mercury amalgam. She has a passion for ensuring that you understand all the options available to you and that you have time to ask any questions that you may have. She capably co-ordinates the visits for people that travel from afar to see us. Lyndsey tecahes the piano in her spare time and spends time with her many beautiful grandchildren.